Gifts made in my Woody Woman's World with consideration for our environment. Sent with Royal Mail 2nd Standard postage. Always magical with attention to detail. 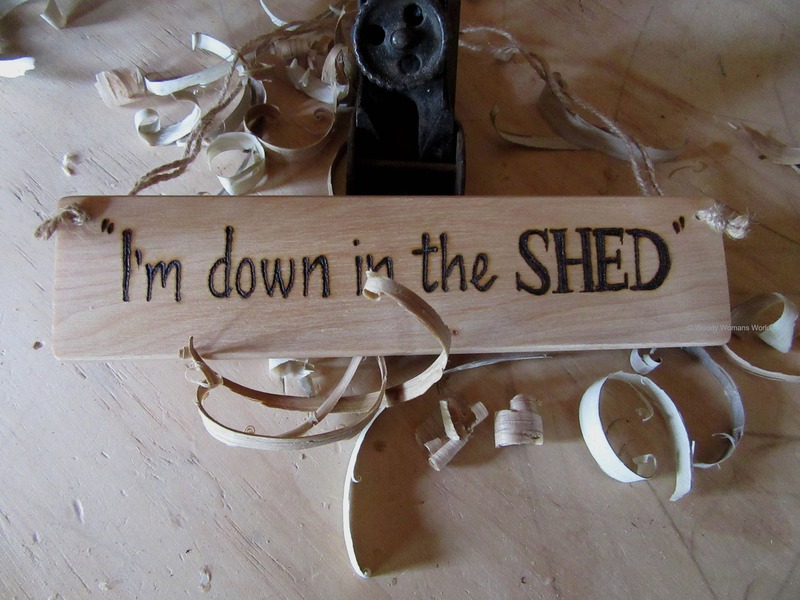 A handmade "I'm down in the SHED " sign. However you may prefer other wording so please feel free to message me your wishes. 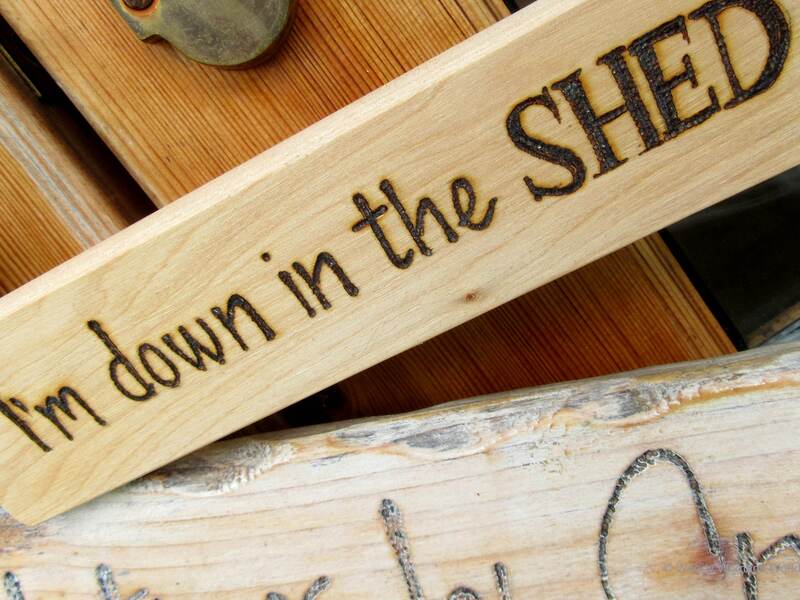 Entirely made by hand with lots of love and a bundle of passion giving you your perfect gift. 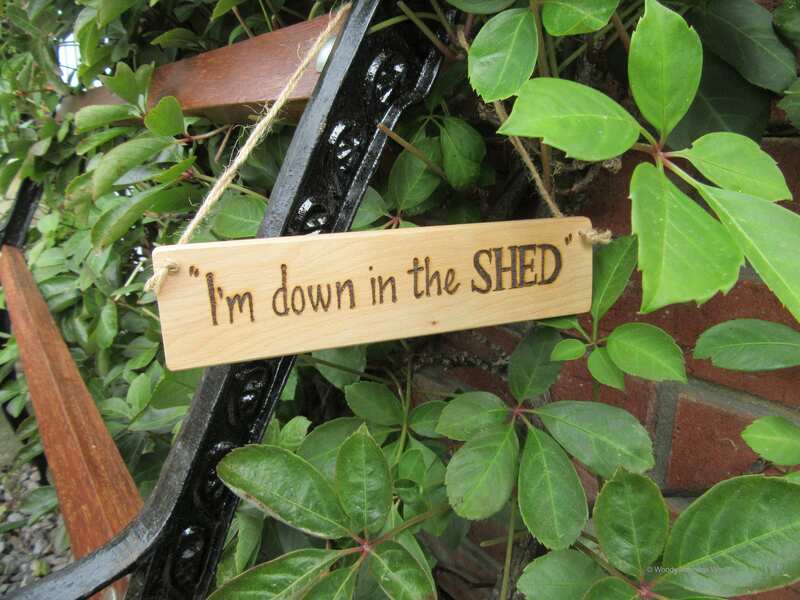 The sign is made from solid wood and has a beautiful smooth finish. Finished with wax for indoor use and surface protection for outdoor use. Personalise by sending me the details you require. Don't forget , any queries I am always close by so please feel free to chat. A Member who supports ACID - Anti Copying in Design. Fast delivery and a really nice quality product. It was just what I was looking for.